Does the highly anticipated sequel rectify the previous entry's mishaps? 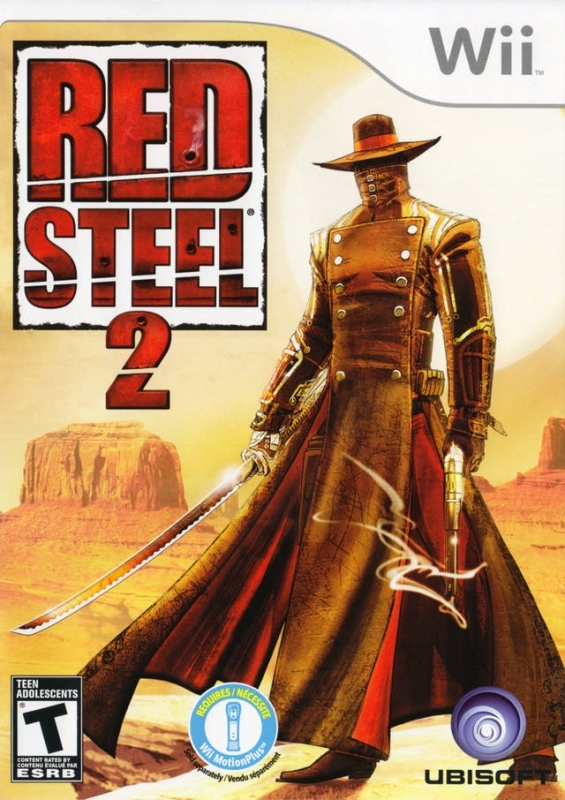 Let’s just get this out of the way up front; Red Steel 2 does everything that you expected out of the first title gameplay-wise. It’s truly a shame that this wasn’t the game released alongside the Wii console back in 2006. 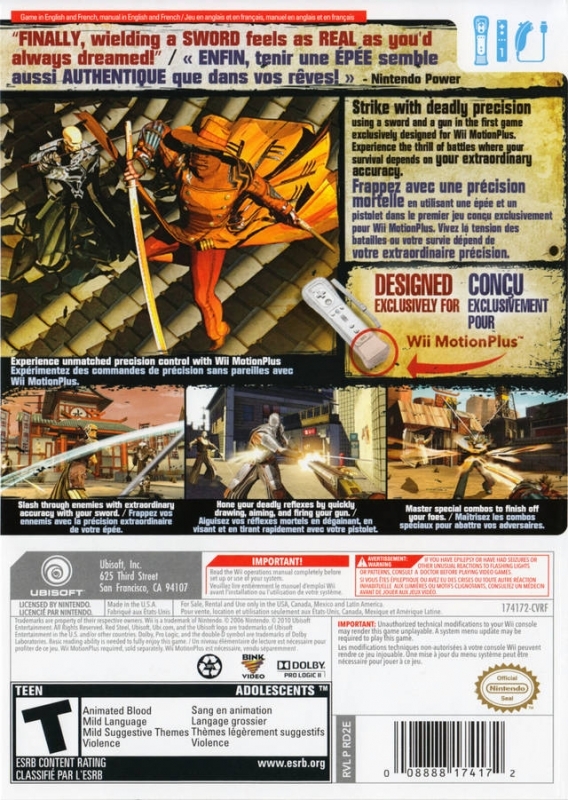 Easily one of the most solid Wii MotionPlus efforts yet, the title does a masterful job at showcasing just how much the accessory can do wonders for how a game can feel and play, as it gives way to some of the most visceral, realistic, and downright fun gameplay mechanics that Nintendo’s little white box has ever seen. 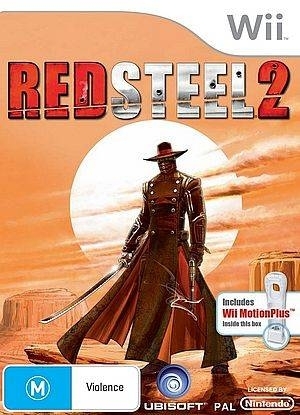 And while not everything else is up to par, what Red Steel 2 does correctly showcases the Wii’s strengths in ways that will leave any action-thirsty gamer begging for more. 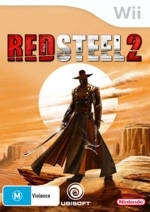 The narrative in Red Steel 2 is assuredly not one of the pluses that I had hinted at above. 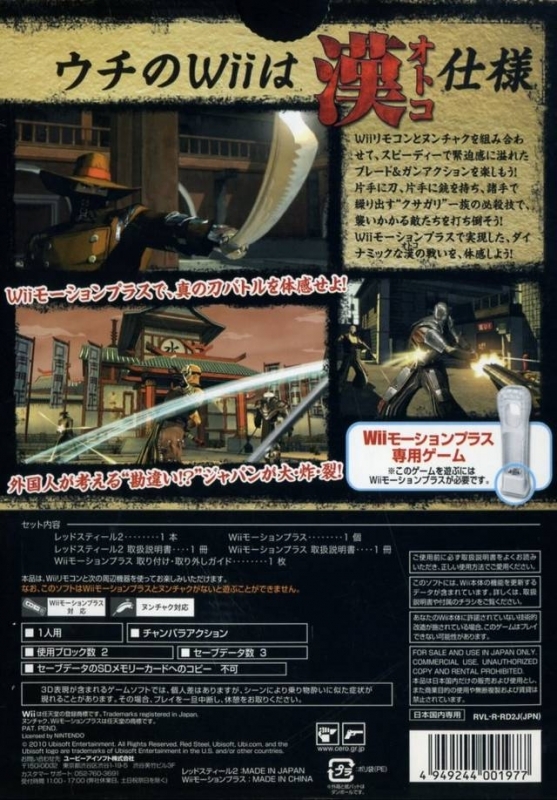 Players take control of a nameless main character who is a member of the Kusagari-clan, a clan known for being extremely skilled in the art of swordsmanship. After a five-year banishment, the hero returns to Caldera, a wild west-like town where eastern and western cultures collide, all underneath the rays of the scorching desert sun. You come to learn that the Jackals, a rival gang filled with nothing less than the most brutal thugs, have taken Caldera by storm overnight. It’s your mission to rid Caldera of the Jackals and anyone else that may come to stand in your way through any means necessary, as quickly as possible. It’s blatantly obvious that this part of the game took a backseat to the rest of the game during development with both the story and characters coming across very much bland and uninspired. While not all games need a heart-pounding story complete with plot twists and romantic subplots, this one could have done better to at least make things a bit more engaging. 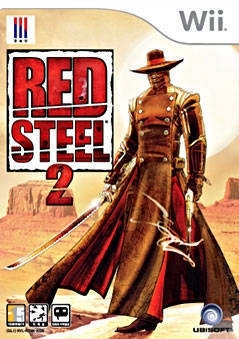 On the complete flipside, it’s evident that slaving over the core gameplay mechanics was what the guys over at Ubisoft spent most of their talent and time doing, with the highly touted sword fighting taking front and center stage. 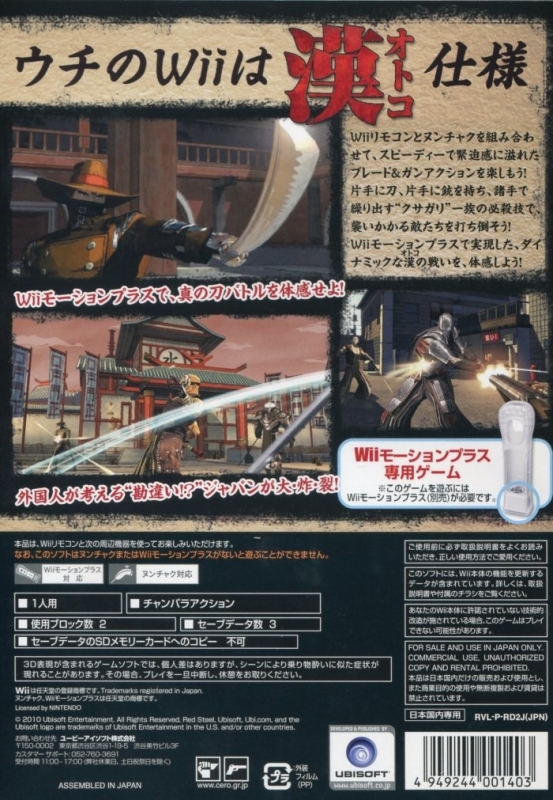 While not exactly true 1:1, the swordplay is as real and as intuitive exhibited in a Wii title yet. 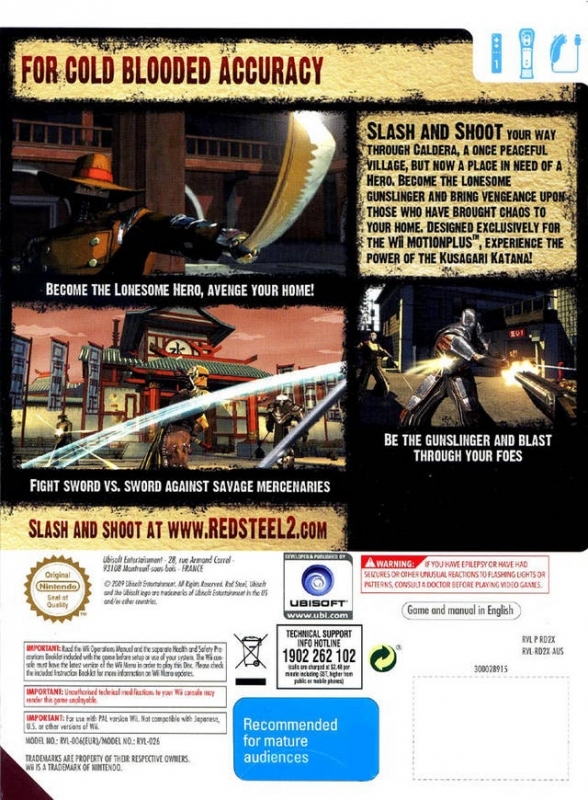 Replicating just about every different slash and thrust by your character on-screen whenever you desire – a much more fitting way to play then having to wait for pre-designated sword battles as you did in the first game. To top all of this off, your character will not only replicate the direction in which you thrust, but also the strength in which you attempt to do so, with broader swings from the side of your body delivering far more damage than a blow that was delivered via a simple flick of the wrist. Blocking is just as simple; simply hold down the A button at the appropriate time and in the correct direction (i.e. horizontal or vertical) and you’re good to go. 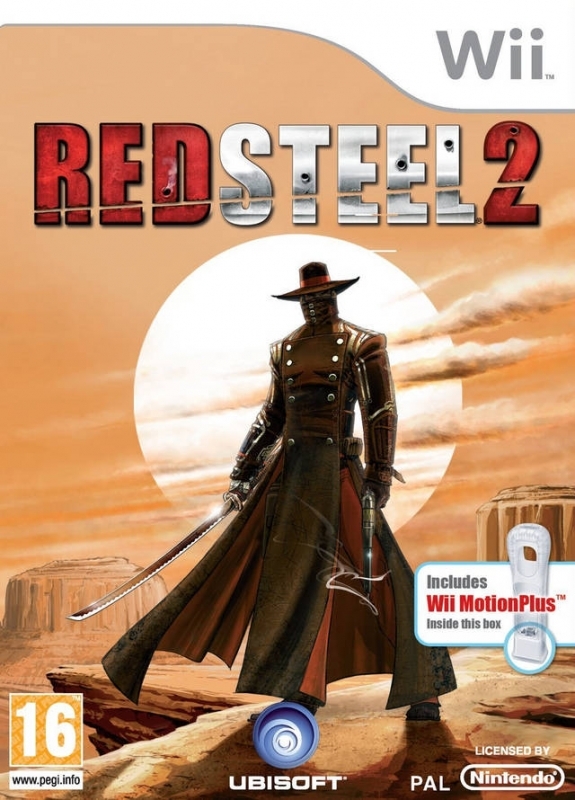 I’d even go so far as to say without Wii MotionPlus and the stellar sword fighting opportunities that it brings to the table, this game would likely have tough time surpassing the original title as a whole package, a game that Red Steel 2 unequivocally passes in its current form. It’s really a good thing that the combat spectrum of the game was nailed, because it’s likely that even as you begin to battle enemies with guns, you will be wielding the sword at least 80% of the time. This is due to the sheer explosiveness and power it provides during the title’s over-the-top battles through the use of upgradeable sword strikes, finishing blows, and “powers”. When performing a strike, you may find yourself flying through the air only to careen down onto your opponent’s skull with a devastating sword slice. With a power, you may find yourself unleashing a monstrous chi-like energy that will send multiple enemies flying off their feet. Obviously, the game is in no way meant to be super realistic, and at many times, it will seem as though you are in the middle of some off-the-walls action packed anime. Unfortunately, I did encounter instances in which my gestures would not be read as much as I hoped. Even the different gesture settings, which turn a small flick of the wrist into a fully blown swing, did not seem to make much of a difference in this regard. However, it’s worth noting that these occasions would rarely occur during combat and almost never hindered battles. On the other side of the spectrum, gun play in the title plays just as well as the swordplay, with fully customizable precision settings at your disposal at all times a la The Conduit. Even better is that in total there are four guns at your disposal, all of which are completely upgradeable and even have a few of their own strike attacks and powers mentioned previously with the sword. 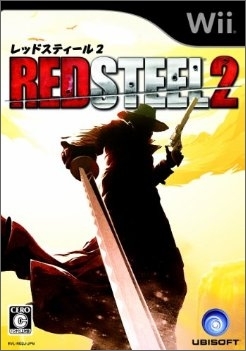 While it won’t get as much playtime as your sword, it still no doubt comes in handy for several environmental uses (such as shooting up item boxes or shooting at targets on a locked door), and it’s always a blast to unload a few bullets into enemies after you’ve slashed them up with sword attacks a couple of times. Although a large portion of the title’s gameplay was handled with extreme care and without much fault, the game has its fair share of glaring blunders as well, with one of which being awful debugging. In just one play-through, I encountered two different game ending bugs that would have caused me to restart my file if the pause menu did not have a restart level option. Not good for a game that did away with any sort of multiplayer option in lieu of what was supposed to be a single-player only effort. Load times also hamper the title, where as just like in Metroid Prime 3, they are often times cleverly left waiting for you behind doors, which in turn will cause you to wait for said doors to open for what can at times be an absurd amount of time. Another large drawback the title faces is a very dry and repetitive formula. Sure swashbuckling sword and gunplay is fun - to an extent. As you happen to find yourself fighting many of the same enemies over and over again, even if the combat gameplay is for the most part stellar (as is the case here), it all grows a bit repetitive over time. However, most of your time is not going to be spent in the heat of battle, putting the beat down on Jackals or other rival clans. Alternatively, you will spend most of your time beating down random boxes, lockers, and other various items peppered about the environment in order to gain cash. 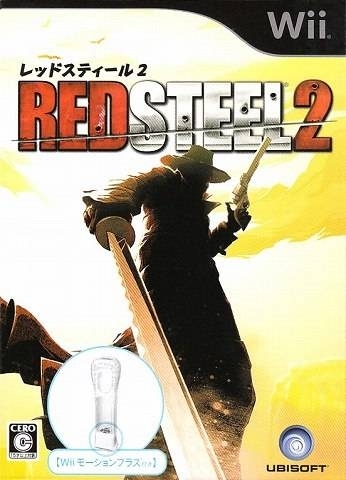 Red Steel 2 was crafted with the motto, “Hitting things is fun,” and while that is definitely a valid statement in the first swordplay MotionPlus game and is put to good use all throughout the game as you battle wave after wave of thugs, the joy that comes from hitting random objects sputters to a halt after about mission three. With the aforementioned lack of a solid narrative, rare NPC interaction, and a tedious point A to point B way of progression, certain points of the campaign grow dull in a hurry. While you find yourself in one of the particular slow spots, you will at least have some of the most amazing visuals on the Wii to gaze upon. 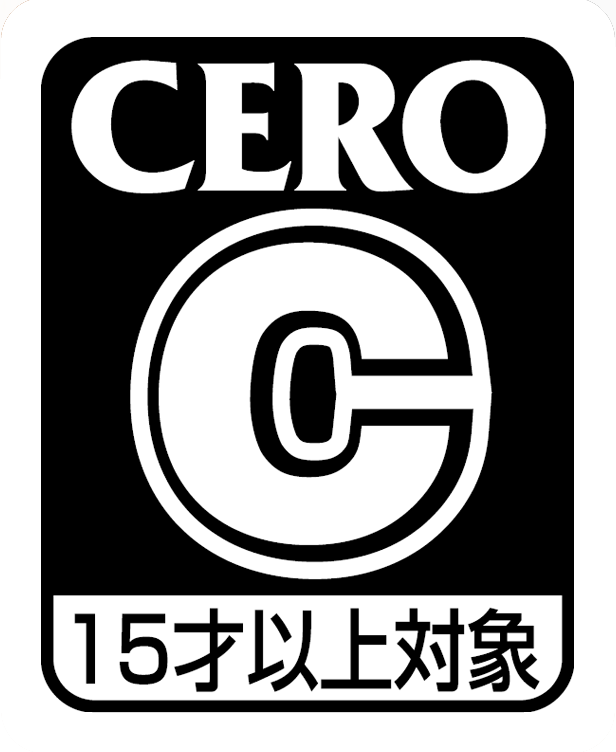 The game features beautifully rendered cell-shaded graphics that do a splendid job at giving everything in Caldera a stylized look without sacrificing too much in the realm of realism. At times, I almost forgot that I was supposed to be in the middle of a sweltering desert with lively colors strewn about and meticulous care given to provide vibrant textures. 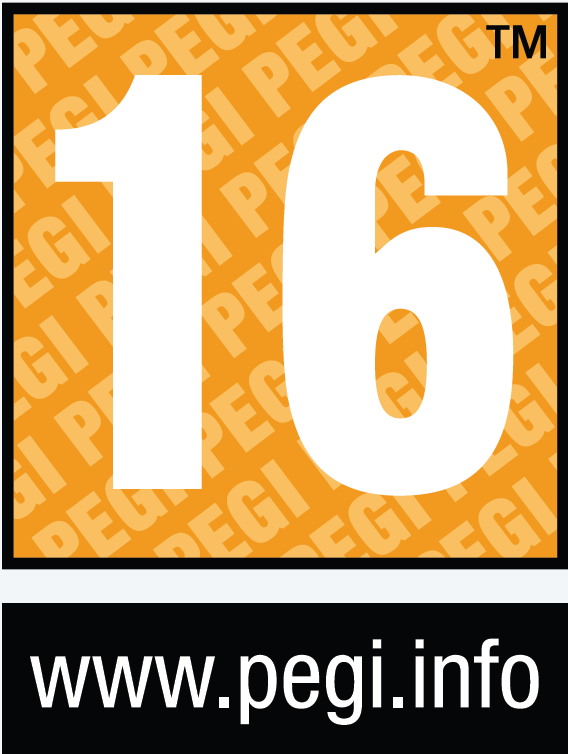 Even better is that all of this chugs along at an impressive 60 frames-per-second, rarely dipping below that benchmark. Sound-wise, things take a bit of a hit due to horrid voiceovers and a forgettable soundtrack. Appropriate sound effects are utilized however, with a particular safe hacking mini-game making great use of the Wiimote’s built in speaker. Easily one of the most provocative aspects mentioned when discussing the game, even before it came out, was the lack of any multiplayer, both locally and online. Would it have been nice to have some sort of multiplayer option included? Without doubt, absolutely, and it really is a shame that there wasn’t any added, as doing so would have added so much more content to the approximately 12 hour campaign. As the game stands now, there really isn’t much to do after you’ve completed the game once, unless going back through on a higher difficulty level is your cup of tea. If the single-player had been a bit beefier, displaying either a bit more content or offering some incentive to return, this wouldn’t be nearly as evident as it so happens to currently be. However, don’t get me wrong; in no way should the lack of multiplayer influence your chances of playing the title. It is just a bit disappointing to have to wait even longer for that MotionPlus multiplayer sword fighting game everyone’s always wanted. 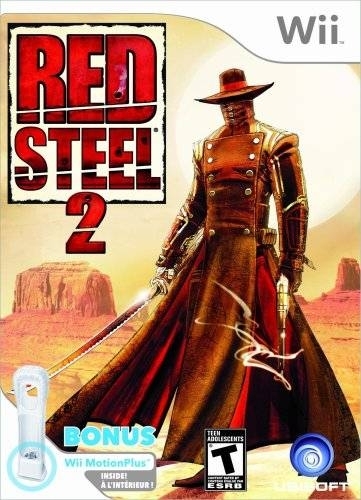 Red Steel 2 isn’t an easy game to pass judgment on. 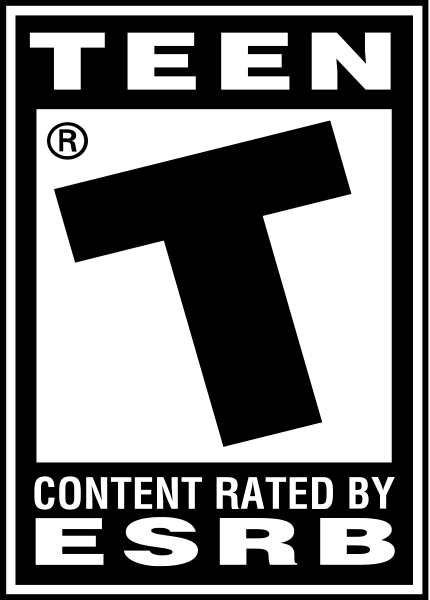 On one hand, it offers up some of the freshest, innovative, and thrilling gameplay nuances that the “FPS” genre has ever seen. I put FPS in quotations because I hesitate to label one of the most off-the-wall swordplay action titles as such, and to simply call it so would be unfair to what Ubisoft has accomplished in my opinion. On the other hand, the game is filled with quite a few unforgiveable miscues and sports a single-player adventure that, minus the combat, is nothing remarkable. All in all, I feel that the game’s combat mechanics are more than enough reason to at least give it a try, and if you’re for purchasing, then for an extra $10 you can have yourself an extra Wii MotionPlus to boot. Action-oriented gamers definitely have a lot to like here, and the game no doubt sets a firm foundation for any possible future iterations. Just go into the game with controlled expectations and you should come away with a solid, if a bit short, experience.